The NBA Draft is very different from the NFL Draft in the sense that the NFL’s is 7 rounds and the NBA’s is 2. In the NBA, you don’t find as many gems in the draft, 1st or 2nd round. Often times people think what they want of a 1st round pick in the NBA, but reality is the 25th pick in the 1st round is really just the 25th best player among 60 that are picked. A late first round pick is similar to that of a 4th round pick in the NFL Draft. However, sometimes NBA teams who do their research come away with a great player in the 2nd round, which is hard to do. Let’s take a look at some of the better 2nd round picks in recent memory. Monta Ellis comes from a time where high school players could go straight to the NBA. Ellis was certainly talented in high school but teams were unsure how it would translate to the NBA. He definitely came in with a couple of problems right off the bat. He was a scorer in high school but at 6’3 185 pounds, he didn’t fit the physical mold of an NBA shooting guard. He’s now a great combo guard for the Dallas Mavericks and holds career averages of 19.3 points, 4.1 assists, and 1.9 assists per game. Marc Gasol was drafted 48th overall but he may have fell just because he was not ready to come to the NBA due to his contract with Akasvayu Girona in Spain. Gasol was selected by the Los Angeles Lakers and actually traded to the Memphis Grizzlies for his brother Pau Gasol. Gasol has since been an All-Star center for the Grizzlies averaging 14.1 points, 7.9 rebounds, 3.0 assists, and 1.6 blocks per game. Overseas, Ginobili won 2 Italian League MVPs as well as the Euroleague Finals MVP so he came to the NBA having accomplished a lot already. When Ginobili came to the NBA in 2002, it didn’t take long for him to carve himself out a role with the San Antonio Spurs. It’s usually hard for a 57th pick to make a roster let alone contribute on a great team. Ginobili has won 4 titles with the Spurs and has been one of the leagues premier 6th men. Pryor was claimed on waivers by the Cleveland Browns and appears destined now to play wide receiver in the NFL. Pryor stands at 6’5 235 pounds. He may be a bit too heavy for the position but he has certainly displayed the speed for the position. He was clocked between 4.32 and 4.54 seconds when he ran his 40 yard dash during his Pro Day. He also holds the longest touchdown run by a quarterback in NFL history with a 93 yard run. The speed and size is certainly there, it’ll be interesting to see if he possesses the hands and route running that the position calls for. Cleveland is not necessarily deep at wide receiver with Brian Hartline and Dwayne Bowe slated to start this season. With Hartline 28 years old and Bowe 30, they’re certainly not long term solutions for the Browns. Maybe they keep Pryor as a project for a year and see if he can pick up all the necessary skills to play the position at a high level later in the season or even next. The NBA Draft is slated to begin Thursday, June 25th at 7:00 pm but that won’t stop the trade rumor mill from spinning. Not only will we likely see draft picks traded Thursday night, but we will most certainly see a couple of NBA players on the move as well. NBA teams have had a lot of time since the season ended, or for some playoff teams, when they were eliminated, in order to evaluate the draft pool as well as talent currently on NBA rosters in order to be moved. Let’s take a look at some veterans who could be on the move come draft night. 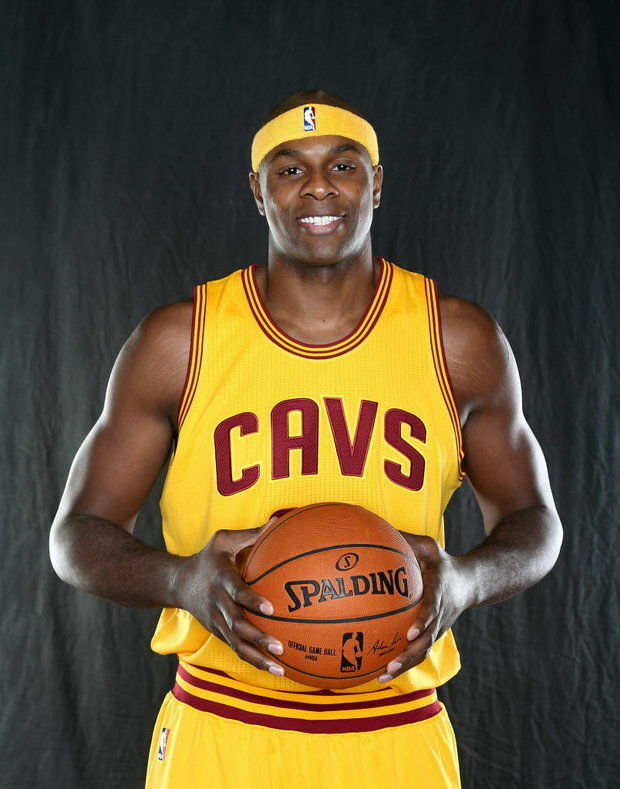 Brendan Haywood should be on the move Thursday night. Brendan Haywood has not been much of a factor since the 2009-2010 season in which he spent time with both the Washington Wizards and the Dallas Mavericks. His production has been down in recent years and he managed to play in just 22 games this season for the Cleveland Cavaliers and averaged just 5.4 minutes in those games. So why would anyone want Haywood? Haywood is entering the final year of a 6 year $55 million deal that he signed following the 2010 season. The Cavaliers are looking to package Haywood and the remaining $10.5 million on his deal with a 1st round pick and upgrade their roster. The Cavs can bring in a better player closer to worth of $10.5 million and the team that acquires Haywood receives a 1st round pick and if they waive Haywood before August 2nd, that team rids themselves of paying Haywood anything. The Clippers just recently shipped small forward Matt Barnes and center Spencer Hawes to the Charlotte Bobcats for guard/forward Lance Stephenson. The Clippers are now looking to move guards Jamal Crawford and CJ Wilcox for an upgrade at small forward. There have been rumors of Crawford, Wilcox, and a 1st rounder to the Denver Nuggets for Wilson Chandler but talks are still ongoing. The 2013 #1 overall pick is involved in trade talk yet again. After disappointing the Cleveland Cavaliers in the 2013-2014 season, Bennett was sent in a packed deal to the Timberwolves which helped the Cavs acquire Kevin Love. Bennett reportedly can now be had for just a 2nd round pick. Still at the young age of 22, Bennett way still be worth the risk of a 2nd round pick if put in the right situation. With the NBA Draft order set, mock drafts are now falling into order a lot easier. However, with the order set, that won’t provide answers for some of the most questionable prospects in the draft. When it comes to making it in the NBA, you have to have the size, strenght, IQ, and specific skill set based on position in order to make it in the NBA. While some players come in with all of the above, many lack 1 or 2 and this puts them on the fringe of where in the draft they go or if they even go at all. Lets take a look at some of the more questionable prospects in the draft. RJ Hunter had a decorated career at Georgia State under his dad as head coach. At 6’6, 190 pounds, Hunter definitely has the size and strength to play shooting guard at the next level. After averaging 19.7 points per game, theres no question if RJ can score. What scouts are taking a closer look at is his efficiency. Hunter was underwhelming shooting 39% from the floor and 31% from 3 point range. However, scouts are looking through that noticing he was the face of a team that relied on him to shoot a lot, sometimes contested and off balance jumpers. In the right system and role in the NBA, scouts thing he can 44% field goal and 40% 3 point shooter he was during the 2013-2014 season at Georgia State. Look for Hunter to go late in the 1st round. Both Aaron and Andrew Harrison were big time prospects coming out of high school. After a freshmen year that saw them play well but not spectacular, they decided to stay another year at Kentucky. Still both did not do much to help there cases for the NBA Draft. However, they’re leaving Kentucky for the NBA. At 6’6 about 210 pounds each they make for interesting guards in the NBA. Both can play point but aren’t necessarily great facilitators. Could they have been hurt by playing with so many other great players at Kentucky that their minutes and overall numbers were diluted? Sure, and thats what any NBA team is hoping if they draft them. These guys will look to be picked in the 2nd round or catch on with someone via Summer League play. Rakeem Christmas burst onto the scene this season for the Orange averaging 17.5 points, 9.1 rebounds, and 2.5 blocks. Problem is, this wasn’t your typical 25-7 Syracuse Orange squad. Christmas did if for an 18-13 team, 9-9 in ACC play and missed the Big Dance. Another red flag is senior season point total eclipsed his previous 3 years on campus point total together. Where was this Christmas the previous 3 years? Can he continue to play at this level for years to come? Can his 6’9 225 pound frame hang with the NBA big men? He’s a tough prospect to project but someone should take him in the 2nd round.